Happy Monday SCT friends! Quick question…who is ready for spring? We can feel all the nods from here so we thought we would bring a little spring to you today. If you have followed us for a while, then you’ll know this is the time we start sharing little sneaks of our spring SCT Delivered Kits. This year, to make it all a little more exciting, we’ve decided to share more than sneak images of the beautiful artwork our designers have created. We are actually going to share ALL of the beautiful projects they’ve created each day this week! 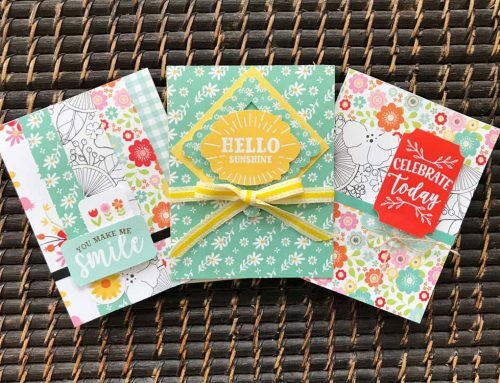 After you’ve had a great preview of our Spring Fling kit this week on the blog, on Friday at 2:00 pm ET, we will release the kits for pre-order. To take is one step further, we’ve also asked our kit team, Lisa Dickison, Meghann Andrea, Jen Gallacher and Latisha Yoast, a few questions about what they loved about working with the new Spring Fling SCT Delivered Kit! 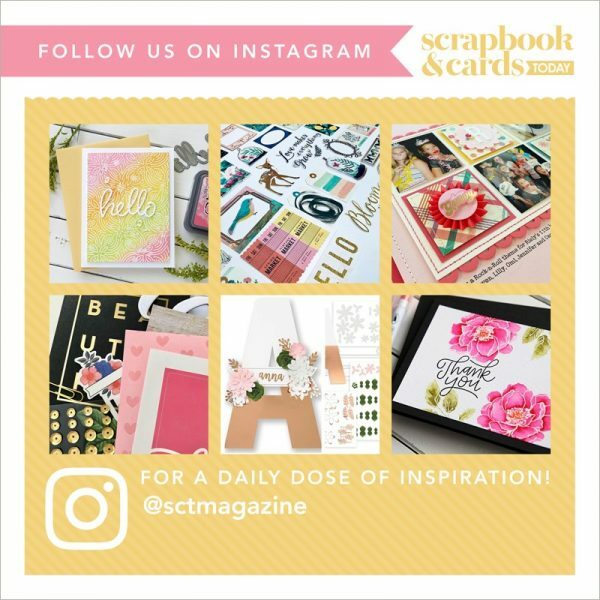 As always, when you purchase an SCT Delivered kit, we will provide you with a beautiful cover weight handout that contains the designer’s projects images along with a link to download all the instructions to create them and links to free printables, cutfiles and sketches too. 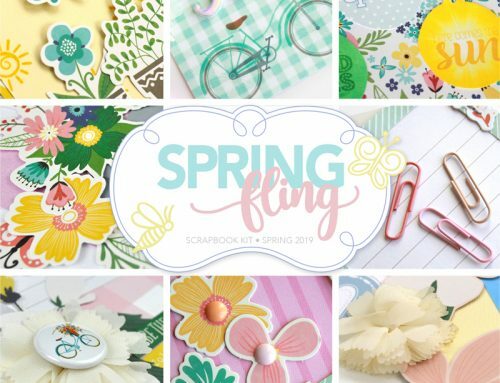 Ready to see our brand new spring “Spring Fling” layout kit projects by Meghann Andrew? 1. What was your favorite product in the kit and why? A: I’m a huge fan of patterned paper. I love layering it, I love fussy-cutting it, and I did a lot of both in my projects! The patterned paper in this kit is just gorgeous, and is my favorite part of the kit contents. It’s all so beautiful I can’t choose only one pattern as a favorite! 2. Which kit items most inspired you? 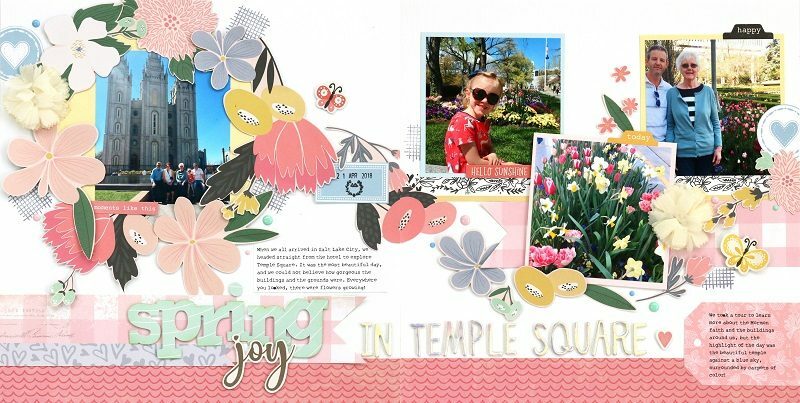 A: The large “I Love Us” paper by Echo Park inspired my double-page layout, as I desperately wanted to cut out all of those lovely, large flowers! That gave me the idea to create a wreath of flowers around my main photo, then have them carry your eye across the spread, as if they were floating away on the wind. I love the pretty, ethereal feel of the page. 3. Did you use any item in a unique or unconventional way? A: On my single-page Picnic layout, I had my two 2″ x 3″ photos separated by a space that kept bothering me while I was creating. I was trying to find something to add to that area, without covering up the pink stripe. 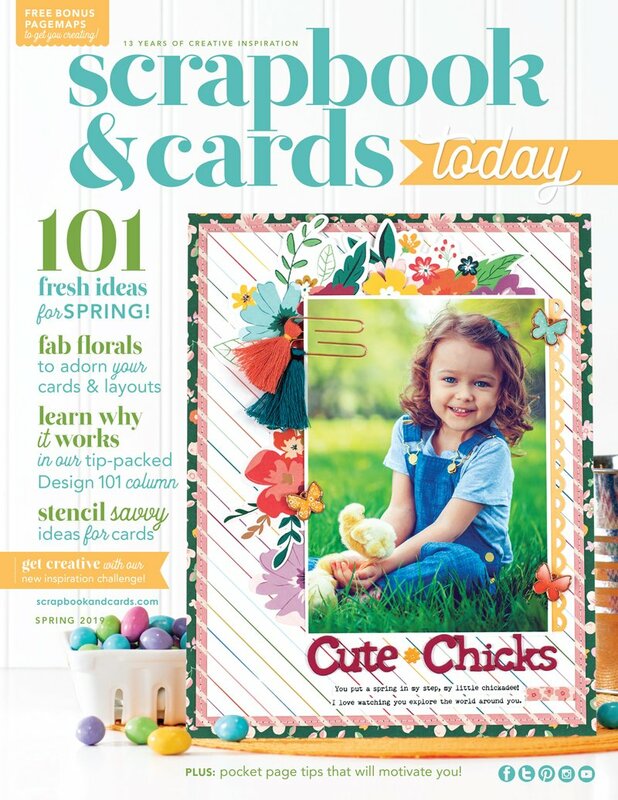 That’s when I realized that I could use the exclusive “fun” die cut word, cut from the pink Color Fresh patterned paper to keep the pink line intact, add a fun element and connect my photos! Win-win! 4. You love the SCT Delivered Kits. Why do you enjoy creating with them? A: I love that these amazing kits give me a smaller amount of product to work with than what I have in my stash, which helps me to make decisions faster. I also love that everything is coordinated to work together perfectly to create something totally beautiful! A: Funny, I always let the product talk to me. 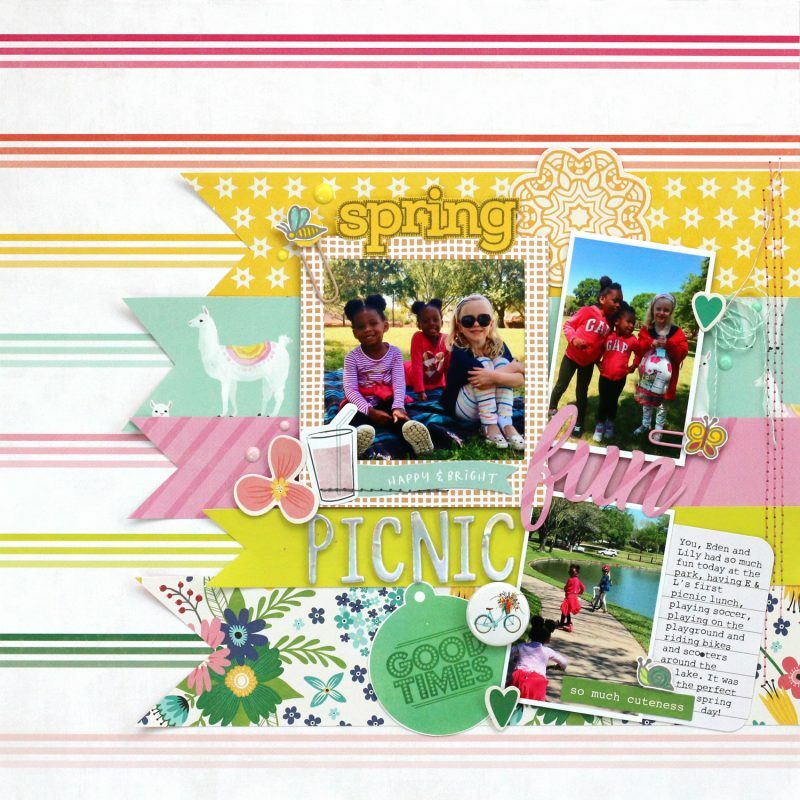 For example, on my Picnic layout, the brightly colored horizontal stripes on the Color Fresh Wild Side patterned paper inspired me to add coordinating patterned paper stripes to the right side of the page, that created the base for my fun photos and color-blocked embellishment. A: Spring flowers are my favorite. I love tulips and lilies, and their growing season also coincides with my birthday, so I can expect a big spring bouquet each year! 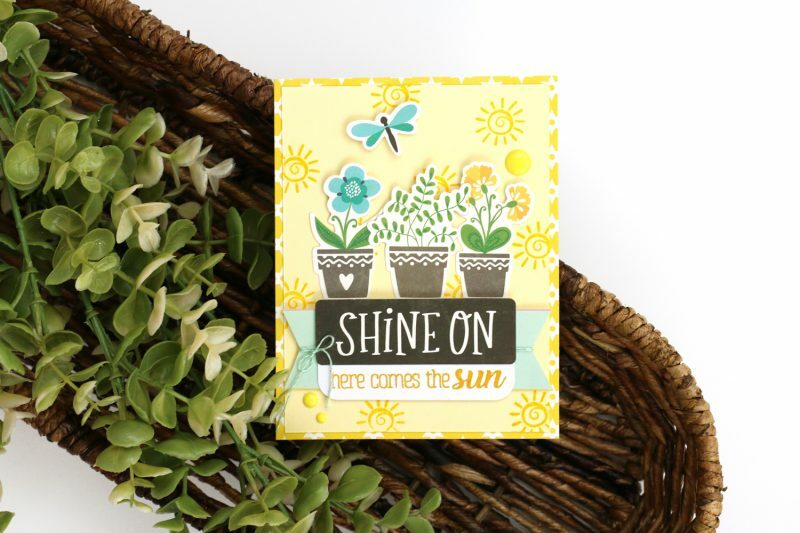 Thank you Meghann for sharing these gorgeous projects that show off the Spring Fling kit to perfection! Remember this kit will be available for preorder this Friday, March 1st at 2:00 pm ET on our website. Join us tomorrow to see what Jen Gallacher created too! OH! I cant wait!! This looks AWESOME! So pretty!! I love the colord in this kit. Such amazing layouts! 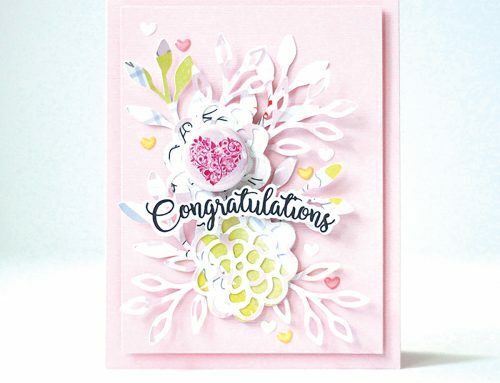 In addition to loving patterned paper; it appears that you have mastered in how to use it to share your stories like a true crafting master!! I am so loving your style! Thank you so much, Christine! That’s such a lovely thing to say! Beautifully brught & cheery colors! What beautiful projects! Looking forward to see what Jen created tomorrow! That double-page layout is simply stunning. WOW! Beautiful creations using these awesome goodies! This is another fabulous kit! TFS! Lovely pages! So bright and cheerful and makes me look forward to Spring even more! Can’t wait until Friday. Such beautiful colors! Just LOVE both the double and single page layouts!! They are a study in contrast, soft and flowy vs. bright & angular. My fave tends to be bright, but I’m drawn to both of these! Fabulous work, Meghann!